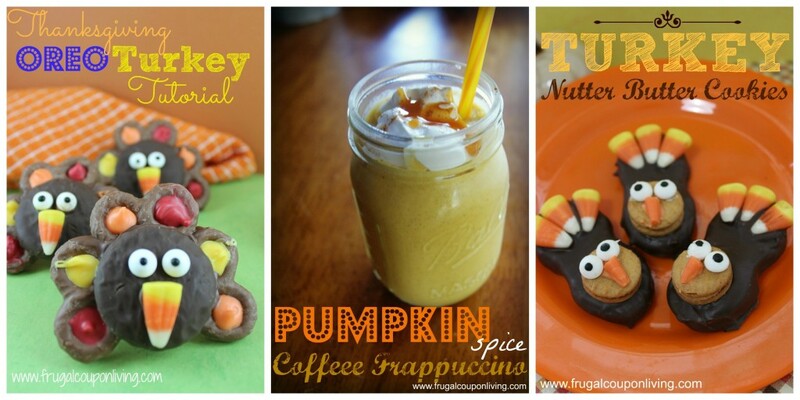 Gobble Gobble – Another fun Turkey Recipe, perfect for the kids this Thanksgiving. 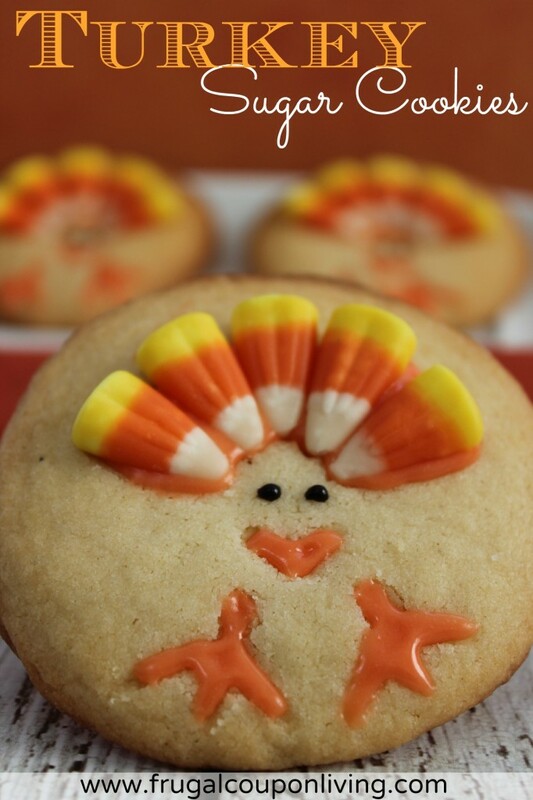 Be sure to PIN this fun Turkey Sugar Cookies Recipe. Place tablespoon sized balls on parchment covered baking sheet and then flatten to 1/4″ thick. Bake in 400 oven 10 minutes or until lightly brown around edges. Use glaze to “glue” candy corn frathers in place. Color glaze with red and yellow to make orange. Draw in beak and feet. Add blue to glaze to create dark gray and dot in eyes. These are so cute! I’m not great at decorating cookies, but I think I could do these. Adorable! These cookies are so adorable! I have pinned this to my “children” Pinterest board. Your cookies are just adorable! Thanks so much for sharing your great recipe with Full Plate Thursday and enjoy your Thanksgiving week!